Today in History–April 13–the Library of Congress features Thomas Jefferson, born on this day in 1743. (Actually, he was born on April 2 under the Julian calendar but when Great Britain and its colonies switched to the Gregorian calendar in 1752 his birthday, along with everyone else’s, was shifted 11 days forward.) 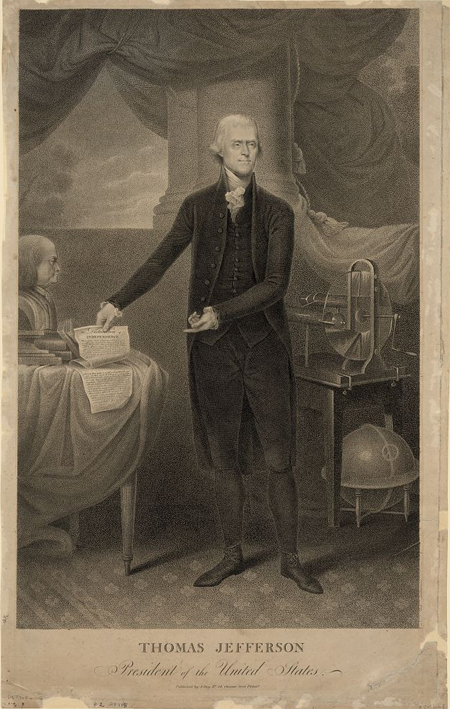 Find out more about this multitalented man by visiting the Today in History section, then follow the links below to access teaching resources, primary sources and secondary sources about the 3rd president of the United States.